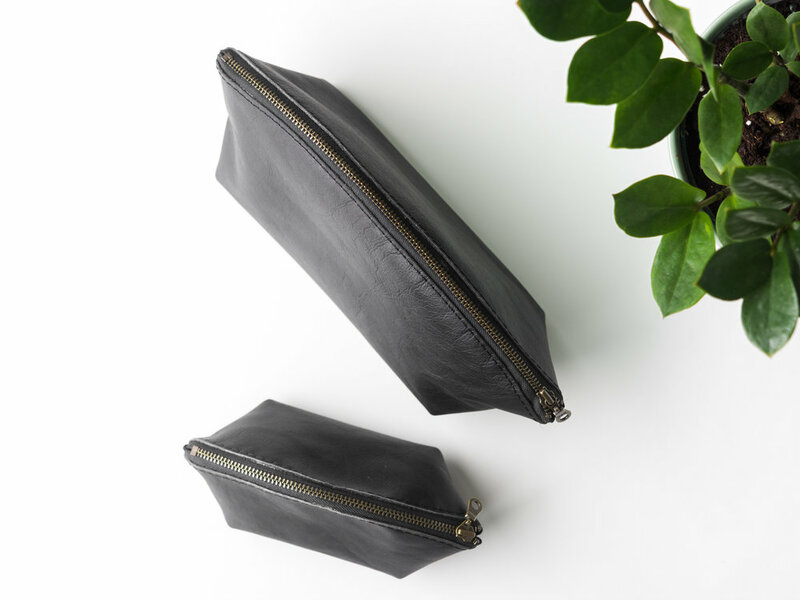 A miniature version of our black leather dumpling pouch. It's the perfect size for the miscellaneous items floating around your purse: chapstick, hair ties, bobby pins, eyeliner. 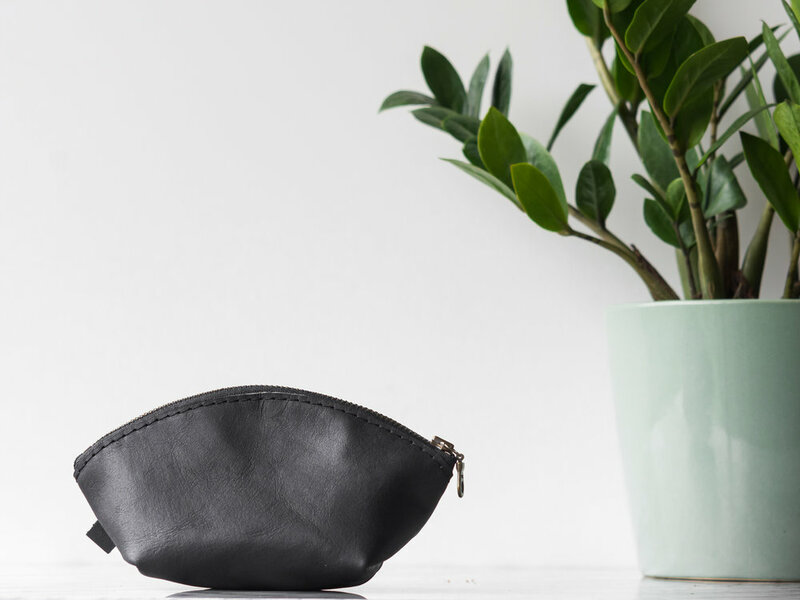 Carry the pouch in your favorite tote, or keep it tucked away in your car for a convenient stash of cosmetics (or snacks!). This mini dumpling pouch is the perfect stocking stuffer for the special lady in your life! *also available in a larger size!